How Much Does a Tractor Trailer Driver Make? Trash and recyclable material collectors pick up garbage and recyclable materials from homes and businesses. They empty containers into a truck and haul everything away to a landfill, dump or recycling center. Some of these crew members have truck driving as one of their job duties. 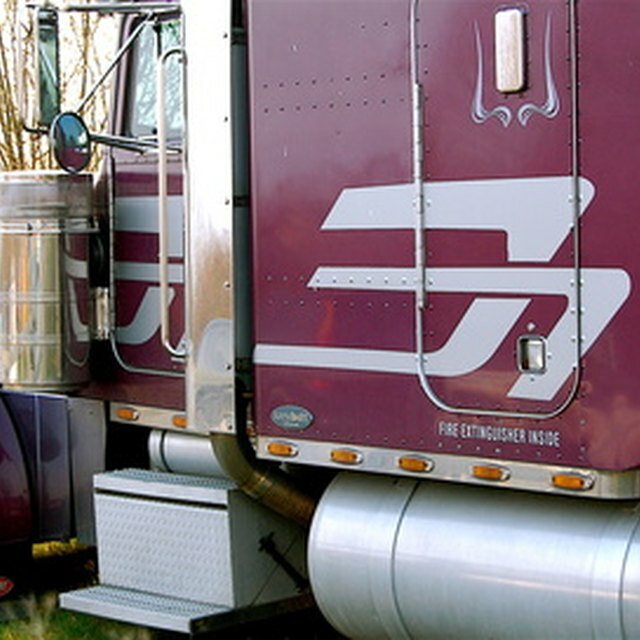 As the truck drivers commonly also must load and unload material, the U.S. Bureau of Labor Statistics includes the drivers with other crew members in its salary figures for this occupation. About 4,680 trash and recyclable material collectors worked in Florida in 2009, according to the BLS. Their average salary in that state was $14.11 per hour, or $29,350 per year. The middle 50 percent of these workers had wages of $11.18 to $16.35 per hour, or $23,250 to $34,010 per year. The bottom 10 percent were making $8.85 per hour and less, and the top 10 percent $20.37 per hour and more, or $42,360 per year and higher. The highest-paying metro area in Florida for garbage truck drivers and garbage collectors in 2009 was in Gainesville, at $18.96 per hour on average, or $39,460 per year. Other high-paying areas included Port St. Lucie at an average of $16.52 per hour and the greater Miami area at $16.38 per hour. The lowest pay on average for Florida garbage truck drivers was in the northeast nonmetropolitan area of the state, at $10.18 per hour, or $21,160 per year. Other low-paying areas for garbage truck drivers in Florida were the south nonmetropolitan area at $11.09, the Fort Walton Beach-Crestview-Destin area at $11.12 and the Panama City-Lynn Haven area at $11.44 per hour. With the middle 50 percent of the nationwide range for this occupation at $11.67 to $19.62 per hour, all these areas ranked in the bottom 25 percent nationwide. How Much on Average Does a Front-Desk Clerk Make at a Hotel Per Year? How Much Do They Pay Hourly at a Hotel Front Desk? How Much Does a Grocery Bagger Make? Garbage truck drivers had an average salary ranging from about $12.20 to $13.20 per hour in the greater Tampa metro area, the greater Palm Bay area, the Lakeland-Winter Haven area, Jacksonville and the northwest nonmetropolitan region of the state. The average salary was about $14 to $15.70 per hour in the greater Bradenton area, Cape Coral-Fort Myers, Orlando-Kissimmee, the greater Fort Lauderdale area, the greater West Palm Beach area and Naples-Marco Island.